When you have hip problems, even simple everyday tasks can become difficult or impossible. Osteoarthritis, fractures, and other deteriorating conditions can gradually damage or destroy the hip joint, making even slight movements agonizing. 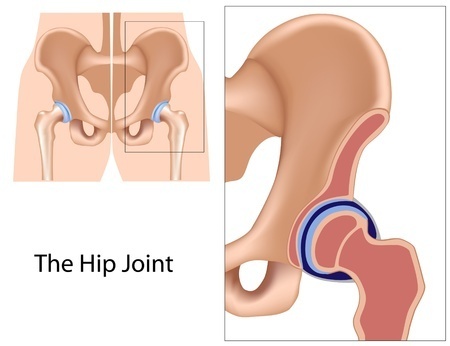 If you suffer from serious hip joint damage, a hip replacement, also called total hip arthroplasty, may be the ideal solution. Learn more about hip replacements in this guide, including who are ideal candidates and how the procedure works. Before your procedure beings, an anesthesiologist will administer a general anesthetic or a spinal block to numb the lower half of your body before the surgery. You may also be given antibiotics and/or blood thinners before the surgery to reduce the risk of infection or blood clots. During the procedure, your surgeon will make an incision over the side or front of your hip. The diseased or damaged bone and cartilage are removed and the healthy bone is left intact. A prosthetic socket will be set in your pelvic bone to replace the damaged one that has been removed. The top round of your femur is then replaced with a prosthetic ball and attached to a stem made to fit into your thighbone. Artificial joints for the hip are made from surgical metal, such as steel or titanium, or ceramic. Your orthopedic surgeon will discuss these options with you before the surgery and make a recommendation for what is best for you. These joints are custom-designed for each patient to ensure proper fit. After you have a total hip replacement, you will have an increased risk of developing blood clots in your legs. To help prevent this possible complication, you may be given some inflatable air sleeves or compression stockings. The pressure helps prevent any blood from pooling in your leg veins, decreasing your risk of blood clots. Your doctor may prescribe blood thinner to further reduce the risk. You may need to take them for up to a few weeks after the surgery depending on your activity level and overall risk. Mobility is important to help prevent clotting and help you regain the use of your hip joint and surrounding muscles. Your surgeon will recommend you sit up soon after surgery, or even try walking a short distance with crutches. Physical therapy will provide you with exercises you can do at home to speed up your recovery. It is vital that physical activity be a regular part of your day to strengthen you and help you regain mobility. While you recover, there are simple modifications you can make, such as getting a raised toilet seat and placing everyday items at waist level. Over 90 percent of all hip replacement surgeries are successful. The amount of pain you felt in your hip will be reduced, and you will have more range of motion. A full recovery may take several months, so continue to be active while you recover. Some activities may still never be possible, depending on your overall health. However, in time you may be able to walk and exercise again without discomfort.